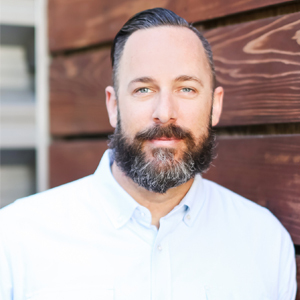 With more than 13 years of experience in real estate marketing, Founder Derek May brings to Nook Real Estate a track record of proven performance, having propelled three successful luxury real estate brokerages to success through his innovative use of digital marketing. While Derek is highly experienced in all facets of marketing, his aptitude for mobile app and web development, SEO, and social media have helped him to become an industry leader in driving the real estate sector forward through digital strategies. Prior to founding Nook Real Estate, Derek played a pivotal role in founding VILLA Real Estate and in the impressive growth of Surterre Properties, now recognized as two of Orange County’s leading brokerages. Derek then created his own consultancy, DM Real Estate Marketing, where he leveraged his renowned real estate marketing acumen for established Orange County residential real estate brokerages including First Team Real Estate and the re-launch of Arbor Real Estate. Derek first honed his knowledge of nationwide and regional marketing through positions at Newport Beach-based Strada Properties and Corinthian Colleges, where he spearheaded several multi-million-dollar ad campaigns. Derek earned his degree in communications at San Diego State University. A: Real Estate is a very rewarding industry because you can see your hard work directly affect the end result. Whether you’re helping a client purchase their first home or a vacation home, it’s an accomplishment for all involved. Real estate is not just a financial investment, it’s a home. A place for new memories to happen and past traditions to continue. This industry is full of dynamic entrepreneurs, and I’m grateful for the opportunities it has provided me professionally and personally. A: Living in a loft, I don’t really have proper “rooms” but I love spending time in my office area. My office is a little nook situated underneath our glass stairs, which allows plenty of natural light to come in from the big windows above. I can easily look up from my desk and wave hello to my wife, so we don’t feel too disconnected while I’m working, reading, or surfing the net. Our loft also has a grand bookcase that I am trying to fill, but since it can easily hold 1,000 books, I still have a way to go! A: The real estate process varies too much from agency to agency and from agent to agent, so I’d like to see transactions more streamlined and transparent. Clients should receive the same level of service no matter where they go, but sadly this isn’t the case. Real estate is a huge purchase, and I want each transaction to be handled with care it deserves. Q: If you could change one thing about your home what would it be and why? A: More square footage and more storage. Can you ever have enough of either? !